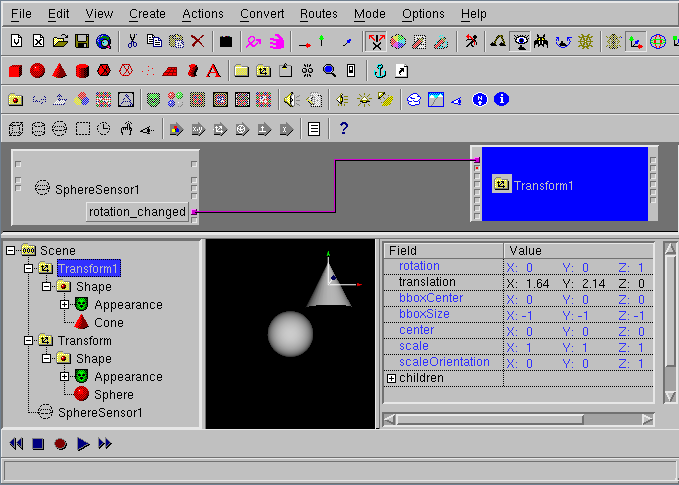 In VRML97 the scenegraph, the Routes and Field Values is all you need to describe a VRML-World. Dune let you edit/create this. 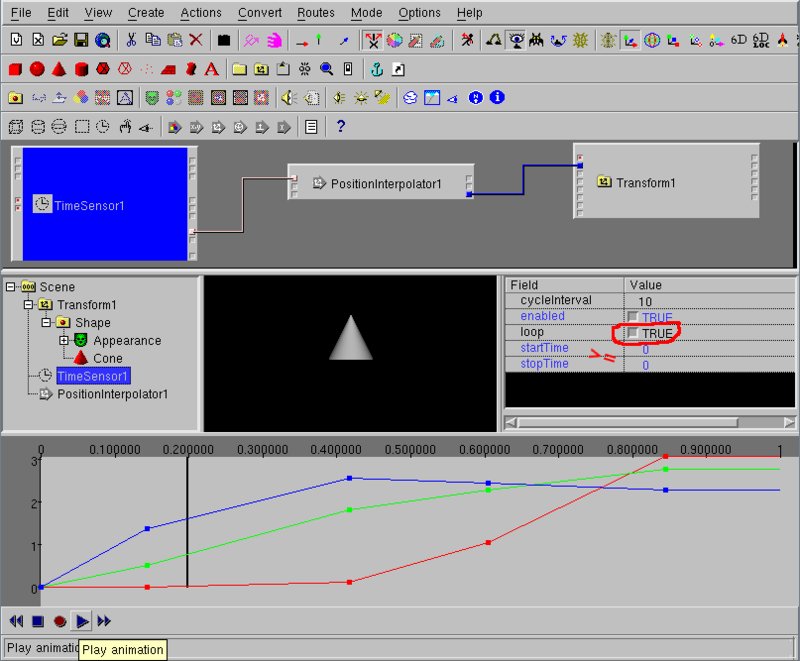 Therefore it is sufficient to show two screenshots to give you a hint how dune works. To build a Animation, you can also use the menuitem Actions -> animate . You can find some typical VRML examples (you can load into dune and combine with other VRML files) about animation, interaction and programming here.